She asked us to write an essay titled “Goal to study abroad”, at the first I thought that I have to study abroad, but then I asked to myself, Why should I? Are there no qualified university in my country? or eligible professors? It really substantial when we decide to study abroad, we have to know and emphasize our motive. With question tag ‘Why’? My background study is time series Forecasting, it is an intersection between Statistics, Data Mining and Economics. Although there eligible Professors of Statistics in Indonesia, only a few of them are interested in the Forecasting area. Probably, it is caused by the culture of Indonesia that is rarely concerned with predicting weather or economic data. Since Indonesia has only two season; rainy and sunny, and they occur almost in the same range of months per year, it is different from other countries that have a lot of interest in the weather because they have four different seasons with different periods for each season. Besides weather prediction, people in Indonesia don’t have a common interest about economic data because they seldom invest in foreign exchange (forex) or stocks market. They prefer to do deposits or gold investment, unfortunately both of them have a steady data pattern which is not challenging to be forecasted. 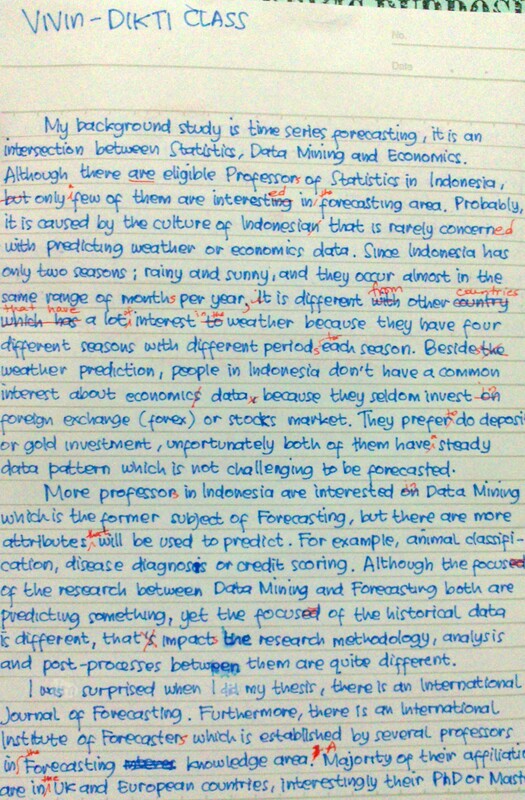 More professors in Indonesia are interested in Data Mining which is the former subject of Forecasting, but there are more attributes that will be used to predict. For example; animal classification, disease diagnosis or credit scoring. Although the focus of the research between Data Mining and Forecasting both are predicting something, yet the focus of the historical data is different, that impacts the research methodology, analysis and post-processes between them are quite different. I was surprised when I did my graduate thesis, there is an International Journal of Forecasting. Furthermore, there is an International Institute of Forecasters which is established by several professors in the Forecasting knowledge area. A Majority of their affiliations are in the UK and European countries, interestingly their PhD or Master students come from China and India. Recently, I have been searching for a suitable professor and I’m glad that there is a professor that has many similarities with my Bachelor and Master theses. His name is James W Taylor, and I am now applying to his fellowship in Said Business School in the University of Oxford. 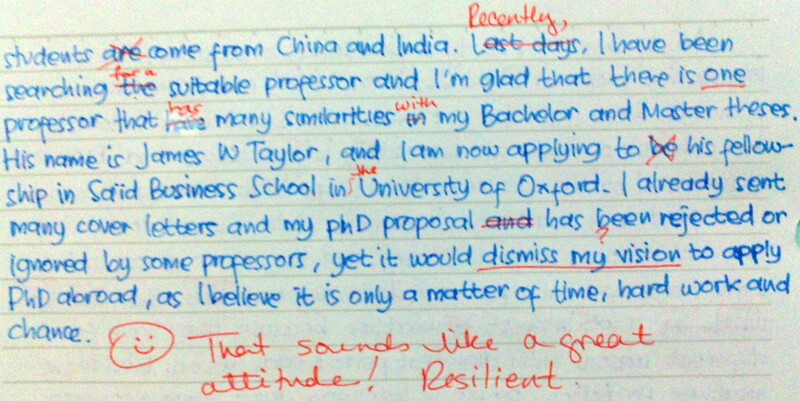 I already sent many cover letters and my PhD proposal and has been rejected or ignore by some professors, yet it would fade my motivation to apply PhD abroad, as I believe it is only a matter of time, hard work and chance.